The following video has an interesting and unique use case for Google Adwords: Service Employees International Union organizes their members and drives issue awareness with Google AdWords. In what other ways can Google Advertising whether search or display be used to reach and connect with an organization’s members? I received the following notice this afternoon pertaining to Google’s pending settlement of a class action lawsuit regarding their daily budget billing practices within Google Adwords accounts. Google has denied, and continues to deny, each and all claims of wrongdoing against it and continues to assert defenses thereto, and has expressly denied any wrongdoing or legal liability out of any of the conduct alleged in the Action. Google denies that Representative Plaintiffs or the Class have suffered any damages or are entitled to any restitution. Representative Plaintiffs considered that there was a substantial risk that they and the Class might not have prevailed on their claims and that there were risks that they and the Class could have recovered substantially less than the settlement amount, if the case had been litigated to judgment. PLEASE READ THIS NOTICE CAREFULLY AND IN ITS ENTIRETY. YOUR RIGHTS MAY BE AFFECTED BY PROCEEDINGS IN THIS LITIGATION. IF YOU ARE A CLASS MEMBER, YOU MAY BE ENTITLED TO RECEIVE BENEFITS PURSUANT TO THE PROPOSED SETTLEMENT DESCRIBED HEREIN. EXCLUSION DEADLINE: REQUESTS FOR EXCLUSION FROM THE CLASS MUST CONTAIN THE INFORMATION SET FORTH BELOW AND BE ACTUALLY RECEIVED BY THE CLAIMS ADMINISTRATOR ON OR BEFORE JULY 14, 2009. This Notice is given pursuant to Rule 23 of the Federal Rules of Civil Procedure and an Order of the Court, dated May 12, 2009. The purpose of this Notice is to inform you that the above-entitled action (“the Action”) has been certified as a class action and of the terms of a proposed settlement of the Action. This Notice describes rights you may have under the proposed settlement and what steps you may take in relation to this litigation. This Notice is not an expression of any opinion by the Court as to the merits of any claims or any defenses asserted by any party in this litigation, or the fairness or adequacy of the proposed settlement. Pursuant to the settlement described herein, $20,000,000, in a combination of cash and AdWords Credits, have been created for the benefit of the Class. These funds have been placed in an interest-bearing escrow account. approved by the Court. An explanation of how each Class member’s distribution will be calculated for purposes of the settlement is set forth in the proposed Plan of Allocation which is summarized in Part VI of this Notice below. The settlement was reached only after the parties conducted arduous arm’s-length negotiations over a period of two months. Representative Plaintiffs’ Counsel have determined that the settlement was fair, reasonable and adequate and in the best interest of the Class. Representative Plaintiffs’ Counsel for the Class intend to apply for: attorneys’ fees of not more than $5,000,000, plus a proportionate share of the interest earned on the Settlement Proceeds, for reimbursement of expenses incurred in connection with the prosecution and settlement of this litigation, not to exceed $250,000; and for an incentive compensation award to the two Representative Plaintiffs, not to exceed $20,000 each. NOTICE IS HEREBY GIVEN, pursuant to Rule 23 of the Federal Rules of Civil Procedure and an Order of the United States District Court for the Northern District of California (the “Court”) dated May 12, 2009, that a hearing (“Settlement Hearing”) will be held by the Court on September 14 2009 at 9:00 a.m., at the United States Courthouse, 280 South 1st Street, San Jose, California, 95113. The purpose of the Settlement Hearing will be, among other things: (1) to determine whether the proposed Settlement Agreement is fair, reasonable and adequate to the Class and should be approved by the Court and, therefore, whether the Action should be dismissed on the merits and with prejudice, and (2) to consider the reasonableness of an application by Representative Plaintiffs’ Counsel for payment of attorney’s fees and reimbursement of costs and expenses incurred in connection with the Action and for incentive compensation award to the Representative Plaintiffs. The Court has certified a Settlement Class defined as: all persons and entities residing in the United States who have paid Google for advertising pursuant to Google’s AdWords program who (a) became AdWords advertisers between June 1, 2005 and February 28, 2009, inclusive, and who were charged more than their per day Daily Budget on any day during that time period; or (b) paused their AdWords advertising campaigns on any day during the period from January 1, 2002 to February 28, 2009, inclusive, and during the same billing period when their AdWords advertising campaigns were paused, were charged more than the product of their per day Daily Budget times the number of days that such Class Members’ advertising campaigns were not paused during that billing period. Excluded from the Class are Resellers, defined as persons or entities whose regular business activities include placing ads on Google’s AdWords program on behalf of otherwise unaffiliated persons or entities. 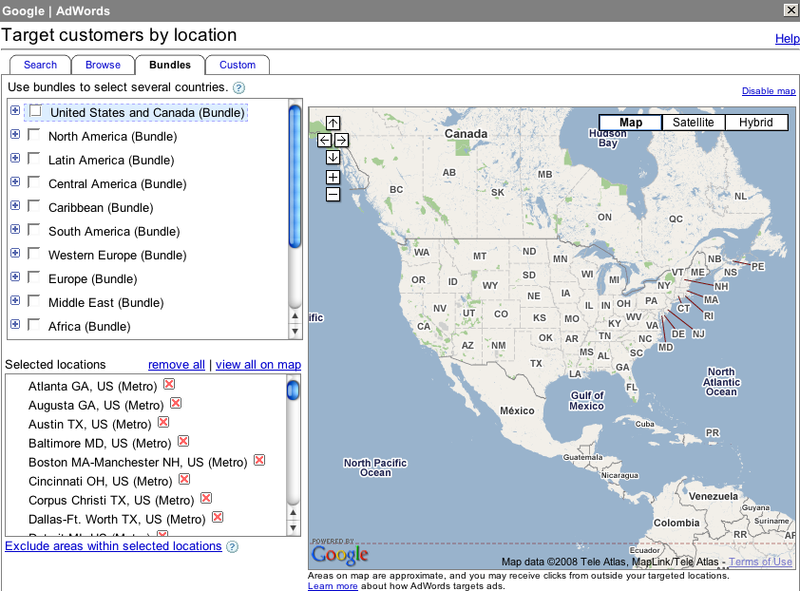 AdWords is a global advertising program offered by Google. This Action concerns Google’s billing practice for its AdWords program. On May 4, 2006, Representative Plaintiffs filed their Second Amended Class Action Complaint, which is the operative complaint in the Action, which alleges five causes of action: (1) Breach of Contract; (2) Breach of the Implied Covenant of Good Faith and Fair Dealing; (3) Violations of Cal. Bus. & Prof. Code § 17200, et seq. (“UCL”); (4) Violation of Cal. Bus. & Prof. Code § 17500, et seq. (“FAL”); and (5) Unjust Enrichment. 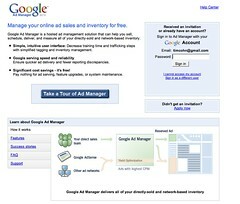 In their Complaint, the Representative Plaintiffs sought damages, restitution, and injunctive relief to remedy Google’s practice of (1) charging its AdWords advertisers up to 120% of their per day daily budget on any given day (Plaintiffs’ “120% claims”); and (2) charging AdWords customers who paused their campaigns more than their per day Daily Budget times the number of days their campaigns were not paused during the billing period (Plaintiffs’ “pausing claims”). Google filed four separate motions for partial summary judgment. The Court dismissed the Representative Plaintiffs’ Second and Fifth Causes of action for breach of the implied covenant of good faith and fair dealing and unjust enrichment. Google also successfully argued that its practice of charging AdWords Advertisers up to 120% of their daily budget on any given day does not, in and of itself, constitute breach of contract. The Court held that triable issues of fact existed as to whether Google’s practice of charging up to 120% of an AdWords Advertiser’s per day Daily Budget violates the UCL and FAL and whether Google’s pre-September 2006 pausing practices constitute a breach of contract. Google has denied all claim of wrongdoing or liability in the Action. The Settlement Agreement is not and shall not be construed or deemed to be evidence or an admission or a concession on the part of Google of any fault or liability or damages whatsoever, and Google does not concede any infirmity in the defenses which it has asserted in the Action. Counsel for the parties conducted extensive settlement negotiations to achieve the settlement described herein. The settlement was reached only after the parties conducted arduous arm’s-length negotiations and after the parties conducted extensive pre-trial discovery. During the course of this Action, Google produced hundreds of thousands of pages of documents, responded to multiple interrogatories, and Google employees testified at deposition. In addition, Representative Plaintiffs produced documents to Google, responded to interrogatories, and testified at deposition. In determining to settle the Action, Representative Plaintiffs and Representative Plaintiffs’ Counsel have taken into account the substantial expense and length of time necessary to prosecute the litigation through complete pretrial discovery, trial, post-trial motions and likely appeals, taking into consideration the significant uncertainties in predicting the outcome of this complex litigation. Representative Plaintiffs’ Counsel believes that the settlement described herein provides substantial benefits to the Class. Based on their consideration of all of these factors, Representative Plaintiffs and Representative Plaintiffs’ Counsel have concluded that it is in the best interests of the Class to settle the Action on the terms described herein, subject to the approval of the Court. Representative Plaintiffs recognized the uncertainty and risk of the outcome of any litigation, especially complex litigation such as this, and the difficulties and risks inherent in the trial of such an action. Representative Plaintiffs desired to settle the claims of the Class against Google on the terms and conditions described herein which provide substantial and immediate benefits to the Class. Representative Plaintiffs’ Counsel deems such settlement to be fair, reasonable and adequate to, and in the best interests of, the members of the Class. Google, while continuing to deny all allegations of wrongdoing or liability, desired to settle and terminate all existing or potential claims against it without in any way acknowledging fault or liability. During the course of the litigation, Google, in addition to denying any liability, disputed that Representative Plaintiffs and the Class were damaged by any wrongful conduct on its part. The settlement provides immediate and substantial benefits to the Class and avoids the risks that liability or damages might not be proven at trial. THE COURT HAS NOT FINALLY DETERMINED THE MERITS OF REPRESENTATIVE PLAINTIFFS’ CLAIMS OR THE DEFENSES THERETO. THIS NOTICE DOES NOT IMPLY THAT THERE HAS BEEN OR WOULD BE ANY FINDING OF VIOLATIONS OF LAW OR THAT RECOVERY COULD BE OBTAINED IN ANY AMOUNT IF THE ACTION WERE NOT SETTLED. In full and complete satisfaction of the claims which have or could have been asserted in this Action, and subject to the terms and conditions of the Stipulation, Google has paid $20,000,000 into escrow on behalf of the Class (the “Settlement Proceeds”), which has been earning interest since on or about March 31, 2009. The Settlement Proceeds, which are inclusive of any Fee and Expense Award and incentive compensation award to Representative Plaintiffs, shall be distributed by Google (with respect to AdWords Credits) and the Claims Administrator in accordance with the terms of the Plan of Allocation described below. The settlement will release Representative Plaintiffs’ and Class Members’ Released Claims against the Google. The Released Claims are defined as: any and all claims, demands, actions, causes of action, rights, offsets, suits, damages, lawsuits, liens, costs, losses, expenses or liabilities of any kind whatsoever, for any relief whatsoever, including monetary, injunctive or declaratory relief, or for reimbursement of attorneys’ fees, costs or expenses, which the Representative Plaintiffs or any Member of the Class which were or could have been asserted based on the allegations set forth in the complaints filed by the Representative Plaintiffs in the Action, specifically including any and all claims based on a Class Member being charged more than his, her, or its Daily Budget. Upon the Effective Date of the settlement, the Representative Plaintiffs and Class Members on behalf of themselves, their heirs, executors, administrators, successors, assigns, employees, officers, directors, attorneys, representatives, affiliates, agents, and any persons or entities they represent, shall be deemed to release and forever discharge Google from all Released Claims, and shall forever be barred and enjoined from prosecuting, commencing, instituting or asserting all or any of the Released Claims in any action or other proceeding in any court of law asserting all or any of the Released Claims in any action or other proceeding in any court of law or equity, arbitrational tribunal, administrative or other forum, whether directly, representatively, derivatively, or in any other capacity against Google. If the settlement is approved by the Court, all claims which have or could have been asserted in the Action will be dismissed on the merits and with prejudice as to all Class Members and all Class Members shall be forever barred from prosecuting a class action or any other action raising any Released Claims against Google. The settlement will become effective at such time as Final Judgment entered by the Court approving the settlement shall become final and not subject to appeal (the “Effective Date”). Each Active AdWords Advertiser who makes such an election before the designated deadline shall receive that portion of the Class Member’s Distribution that is in excess of the balance due on his, her, or its AdWords account in cash. h. The Claims Administrator will issue checks to all Class Members who are not Active AdWords Advertisers, in the amount of each Class Member’s Distribution. To the extent, at the conclusion of efforts to make distributions to Class Members, there remains any undistributed portion of the Net Settlement Proceeds, it shall be disposed of pursuant to the instructions of Representative Plaintiffs’ Counsel, with approval of the Court. Under no circumstances shall the Net Settlement Proceeds, or any portion thereof, be paid or otherwise revert to Google following the Effective Date of the Settlement. i. The computation of each Class Member’s Distribution shall be made by Google or the Claims Administrator, and the data supporting such computation shall be supplied to the Claims Administrator. Payment pursuant to the Plan of Allocation set forth above shall be conclusive against all Class Members. No Person shall have any claim against Representative Plaintiffs’ Counsel, the Claims Administrator or other agent designated by Representative Plaintiffs’ Counsel, Google, or Google’s Counsel based on the distributions made substantially in accordance with the Settlement Agreement, the Plan of Allocation, or further orders of the Court. (v) Other matters related to the foregoing. A. If you wish to remain a member of the Class, you may share in the proceeds of the Settlement. Class Members will be represented by Representative Plaintiffs and Representative Plaintiffs’ Counsel, unless you enter an appearance through counsel of your own choice at your own expense. You are not required to retain your own counsel, but if you choose to do so, such counsel must file an appearance on your behalf on or before July 14, 2009, and must serve copies of such appearance on the attorneys listed below. B. If you do not wish to remain a member of the Class, you may exclude yourself from the Class by following the instructions below. Persons who exclude themselves from the Class will NOT receive any share of the Settlement Proceeds and will NOT be bound by the Settlement. C. If you object to the Settlement, the Plan of Allocation, or to Representative Plaintiffs’ Counsel’s application for attorney’s fees and expenses and for an incentive compensation award for Representative Plaintiffs, and if you do not exclude yourself from the Class, you may present your objections by following the instructions below. Each member of the class shall be bound by all determinations and judgments in this Action concerning the Settlement, whether favorable or unfavorable, unless such person files a written request for exclusion by first-class mail so that it is actually received by the Claims Administrator on or before July 14, 2009. Your rights against Google will be affected by this Settlement. At the Settlement Hearing, the Court will determine whether to finally approve this Settlement and dismiss the Action and the claims of Representative Plaintiffs and the Class. The Settlement Hearing may be adjourned from time to time by the Court without further written notice to the Class. and said objections, papers and briefs must be filed with the Clerk of the Court, showing due proof of service upon Representative Plaintiffs’ Counsel and counsel for Google. At the Settlement Hearing, or at such other time as the Court may direct, Representative Plaintiffs’ Counsel will apply to the Court for an award of attorney’s fees from the Settlement Proceeds in an amount not exceeding $5,000,000, plus a proportionate share of the interest earned on the Settlement Proceeds, and for reimbursement of their costs and expenses, not to exceed $250,000; and for a incentive compensation award to the two Representative Plaintiffs, not to exceed $20,000 each. Representative Plaintiffs’ Counsel, without further notice to the Class, may subsequently apply to the Court for fees and expenses incurred in connection with administering this Settlement and distributing the Settlement proceeds to the members of the Class. For a more detailed statement of the matters involved in this Action, reference is made to the pleadings, to the Settlement Agreement, to the Orders entered by the Court and to the other papers filed in the Action, which may be inspected at the Office of the Clerk of the United States District Court for the Northern District of California, San Jose Division, United States Courthouse, 280 South 1st Street, San Jose, California, 95113, during regular business hours. ALL INQUIRIES CONCERNING THIS NOTICE OR THE PROOF OF CLAIM FORM BY CLASS MEMBERS SHOULD BE MADE TO THE CLAIMS ADMINISTRATOR. PLEASE DO NOT CONTACT THE COURT OR THE CLERK’S OFFICE FOR INFORMATION. Google had $21.8 Billion in 2008 revenue 99% of which comes from advertising. 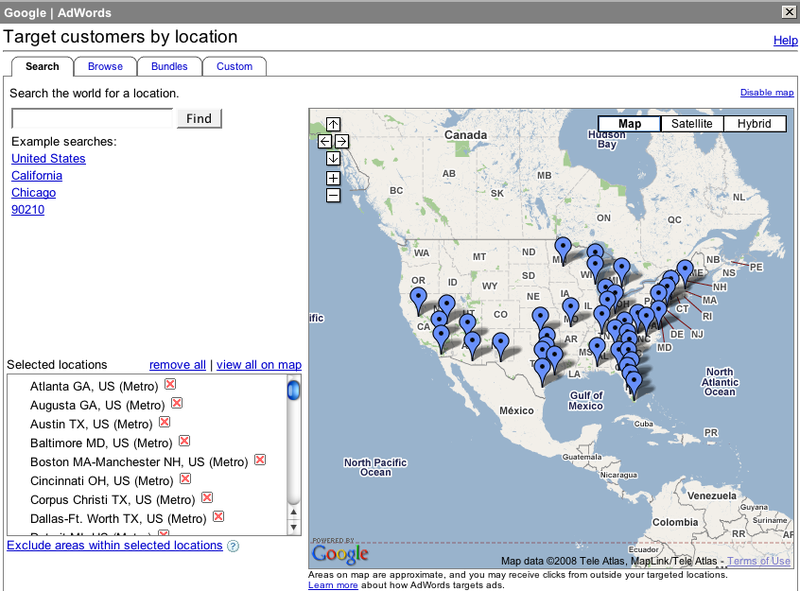 It been estimated Google has between 1.0 million and 1.5 million advertising clients worldwide. With 1.5 million advertisers, Google’s average annual revenue per advertiser would be roughly $14,333.33. Dividing $14,333.33 average annual spend by 365 days yields an average of $39.27 spent per day per advertiser. This in turn suggests the average Google advertiser spends $1.64 per hour 24 hours a day 7 days a week. Google handles 8 Billion searches each month now or approximately 266,666,667 million searches a day. By combining the previous figures with the average Google property visitor session length and page views couldn’t we then also extrapolate what percentage of advertisers ads are clicked on daily as well as what Google’s average income per click is? I will have to do more research to see if I can come up with more solid numbers. A week ago I began using the new Google Adwords Updated Interface Beta. 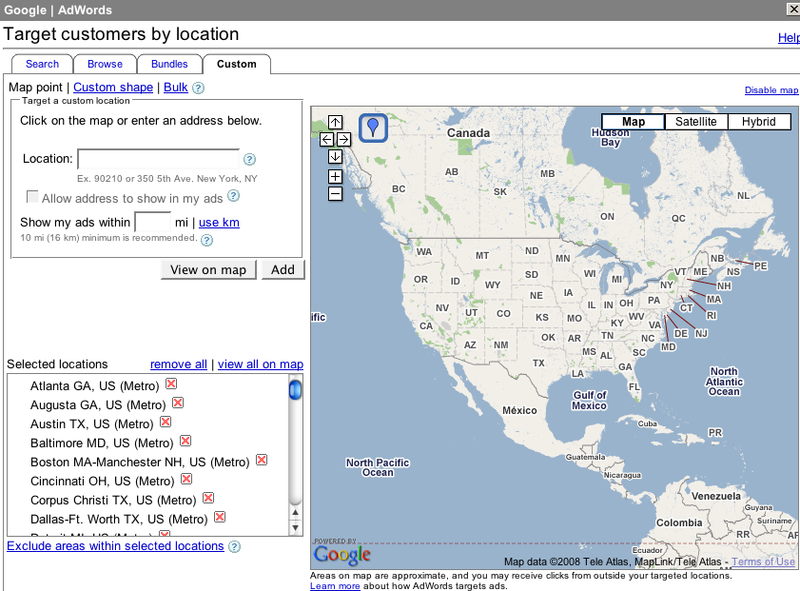 The new interface has more efficient navigation and quicker page load time than the previous Adwords interface. Adwords Professionals who manage multiple client accounts from with their My Client Center dashboard will appreciate the new level of performance their new dashboard delivers. Adwords advertisers who use also Google Analytics will see how the two Google applications could one day become a single unified communications dashboard. 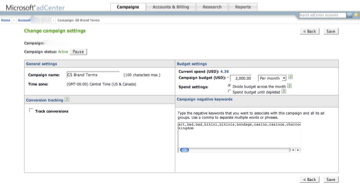 Adwords Account 2.0 lets the Adwords advertiser drill down more quickly into their account with fewer keystrokes through a drop down tool box within account tabs. Advertisers will find the same layout and information available from within their new Reporting, Tools, Billing and My account sections as they found in their previous Adwords account. 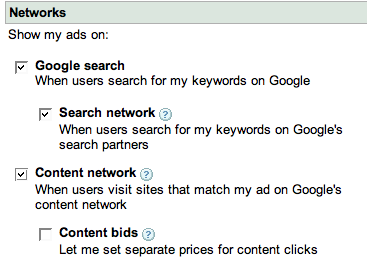 The Home and Campaign tabs are where Adwords Advertisers will experience account usability improvements. 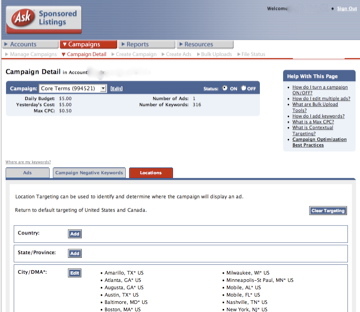 Within the Campaign options field advertisers will be able to display their account performance data with either one or two performance metrics. This new level of account data visualization should help advertisers more clearly understand how their campaigns are performing. 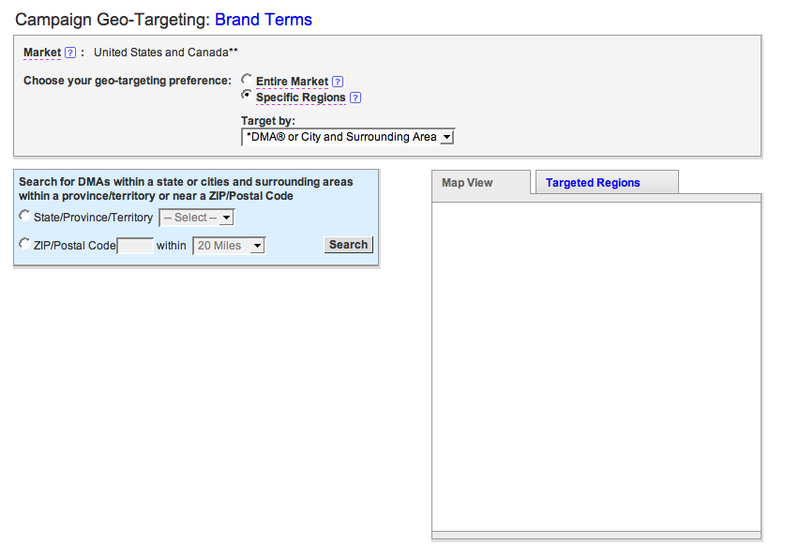 Adwords Networks are also available for campaigns from a tab within the account. Overall, this latest version of Adwords account management lets Google advertisers get to and act on their data more quickly and with less effort than anytime before. 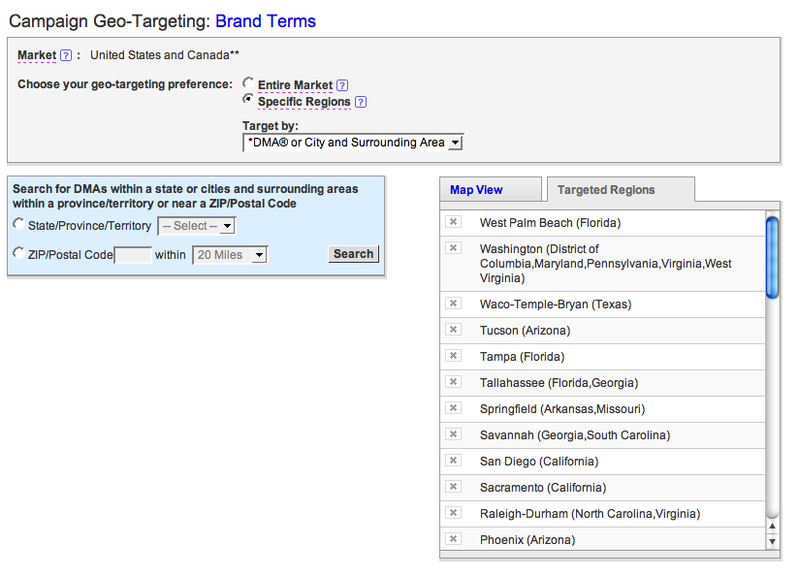 Google Adwords allows advertisers to target Google searches, their search network partners and their content network at the campaign level under the “Edit Campaign Settings” tab. Every campaign and keyword performs differently. I have found measuring the performance of each is necessary to successfully managing keywords let alone campaigns.